This 3 bedroom 1 and 1/2 bath home is move in ready and conveniently located! There's 2 bedrooms on the main level and an additional large bedroom on the upper level with a 1/2 bath. 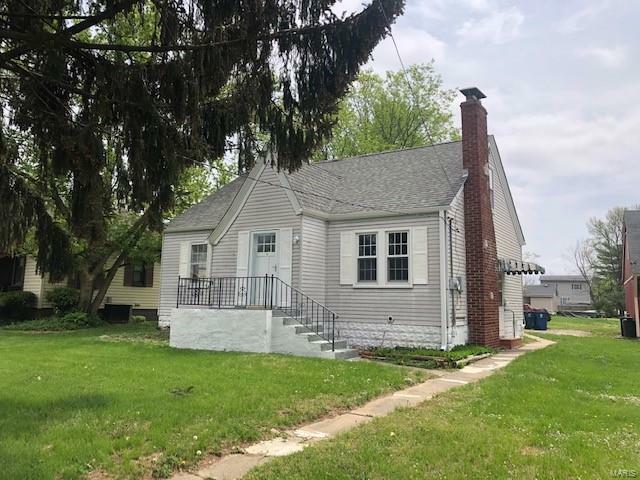 All 3 bedrooms have nice hardwood floors and the rest of the flooring in the home has been redone within the last year. If you're needing extra living space the basement is ready to finish! It has had a sump pump/full perimeter drain tile system installed and comes with a transferable warranty. Also redone within the last year includes,but is not limited to a new roof, gutters, hot water heater, new toilets, and a new refrigerator and stove. Come see this house today and make it your home!